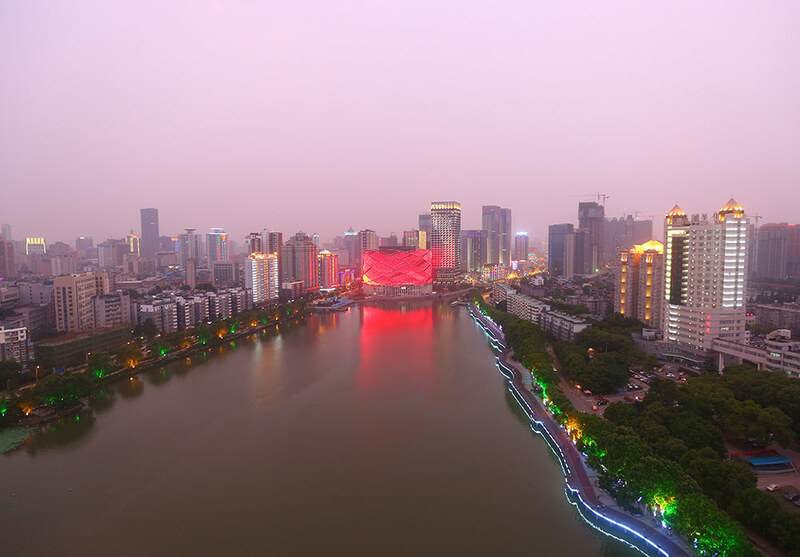 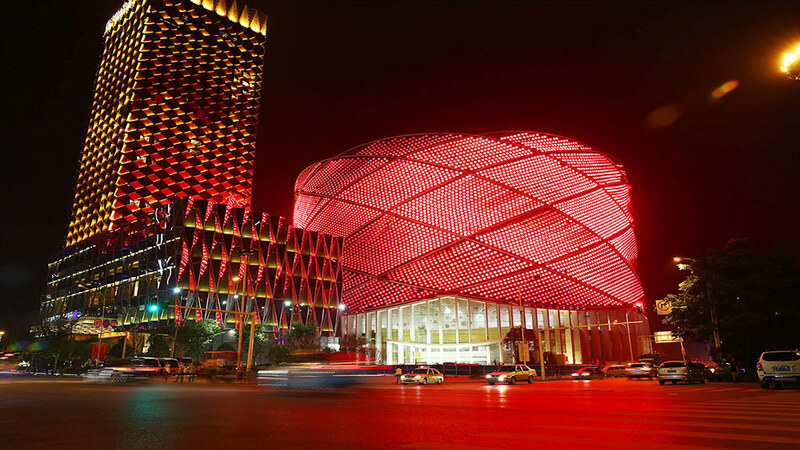 The Han Show Theatre is located by the East Lake of Wuhan City. 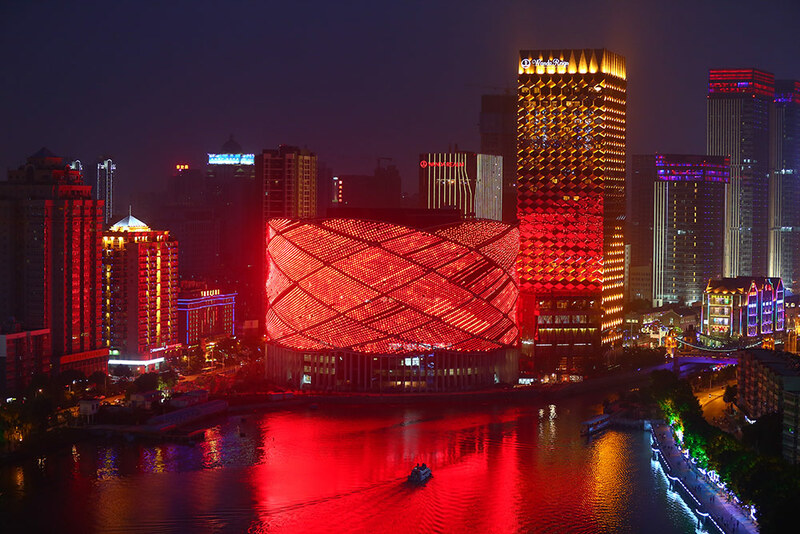 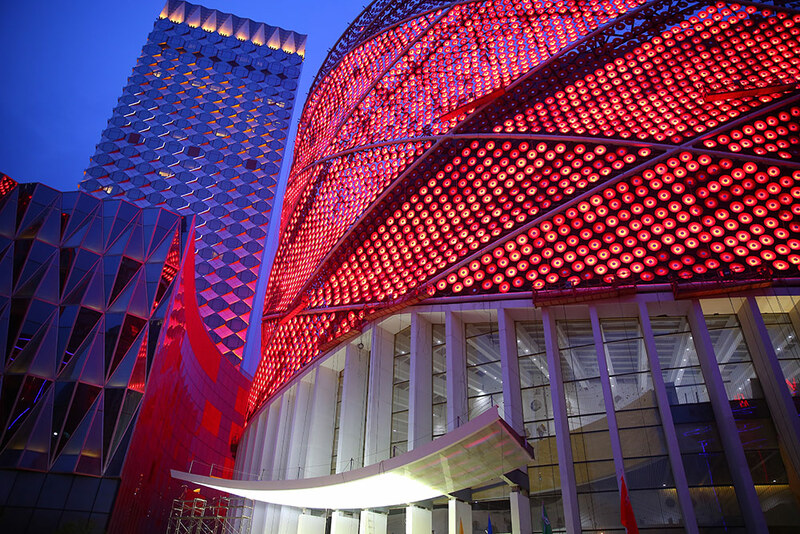 The shape of the building is inspired by the traditional Chinese image of the “red lantern”. 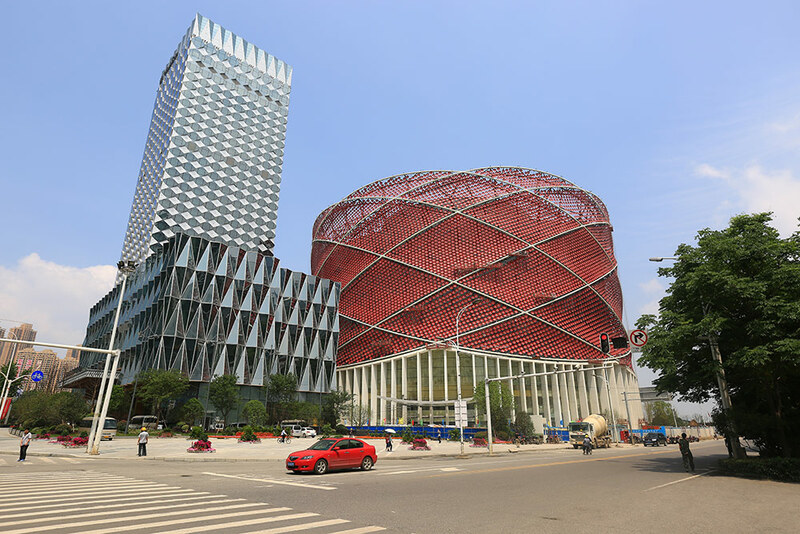 This ingenious design with strong Chinese elements was designed by the world’s top architectural and art design master in the world, Mr. Mark Fisher, and is specially dedicated to The Han Show. 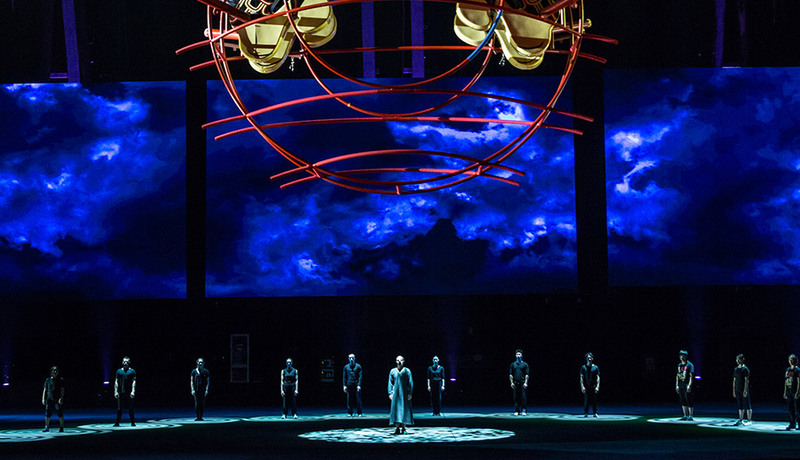 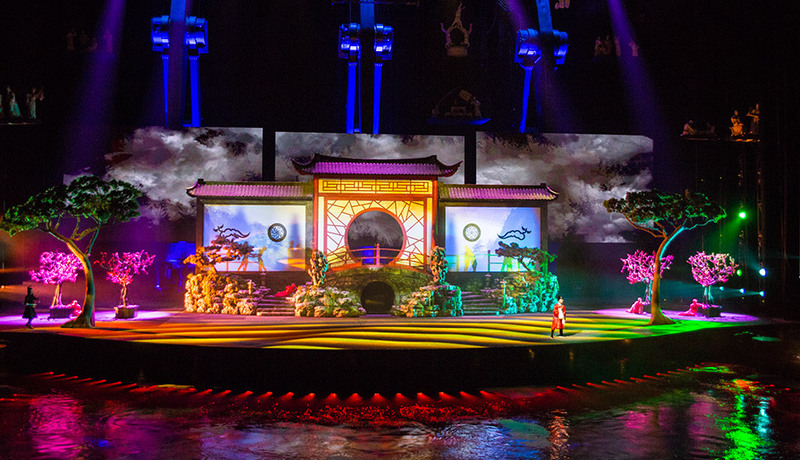 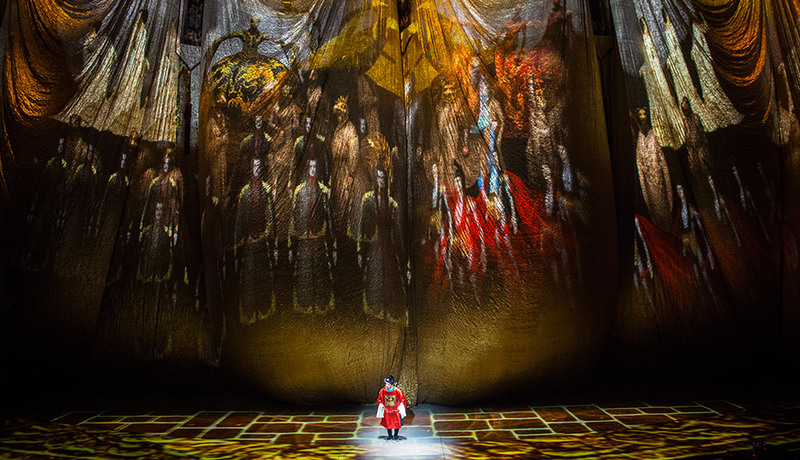 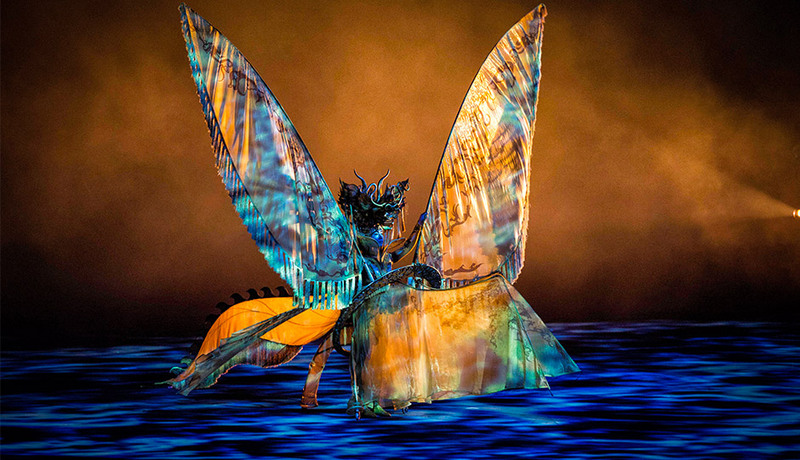 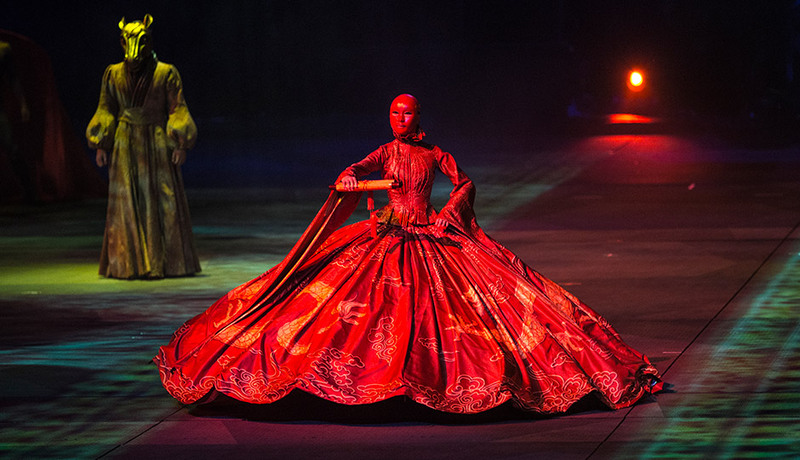 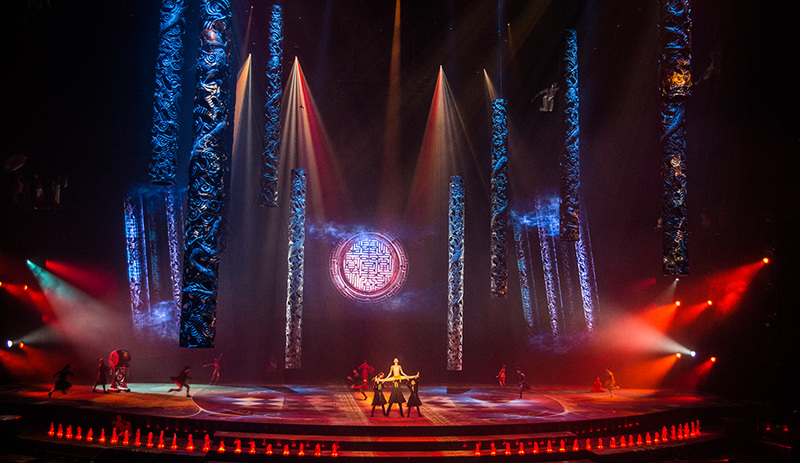 There are 2,000 movable seats in the Han Show Theatre, which is said to be the first of its kind worldwide that adopts moving and lifting seats in water show performance. 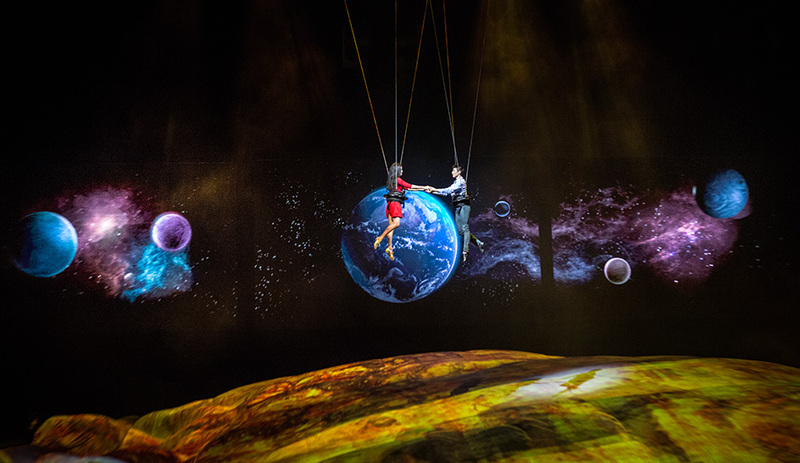 The swing seats in the front area are in a closed status at the beginning of the show and during the show, the swing seats turn around and open and the lifting seats in the back area vertically descend. 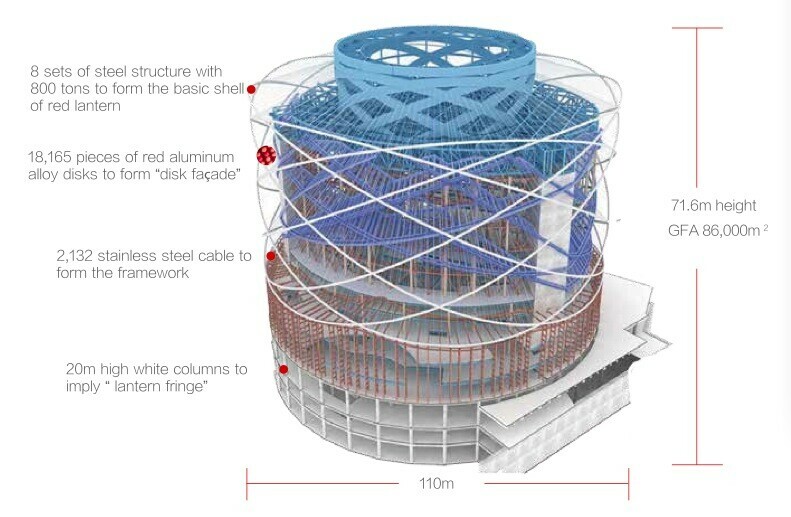 The whole seat area enters the open status and the performance basin shows itself, surrounded by the 2,000 seats. 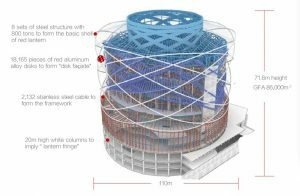 The capacity of the performance basin in the theatre reaches 10 million litres, equivalent to that of 4 standard Olympic swimming pool. 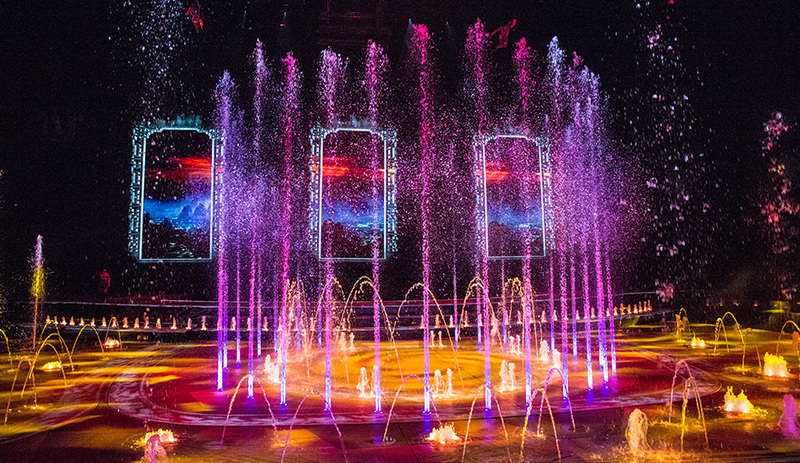 The switch of the land and the water can be done in an instant. 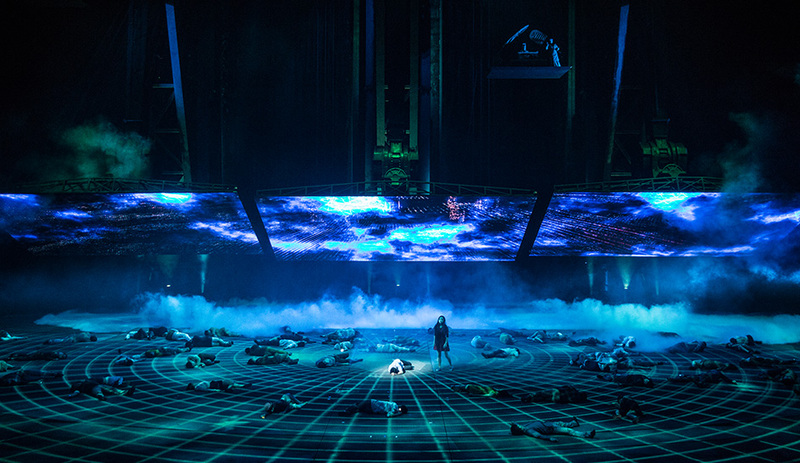 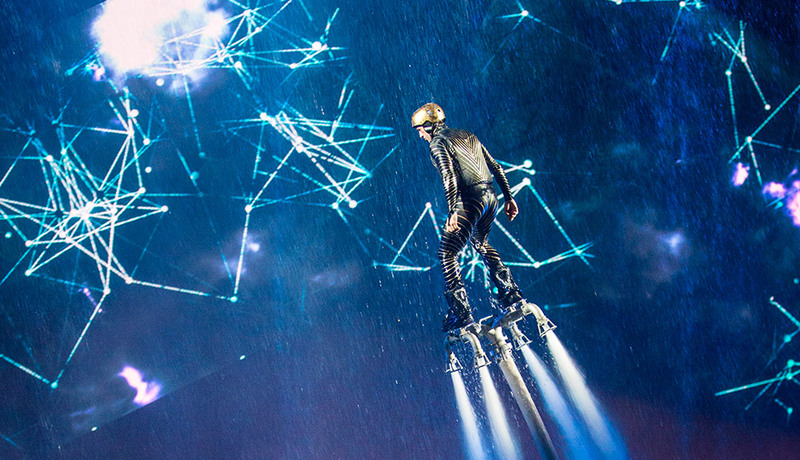 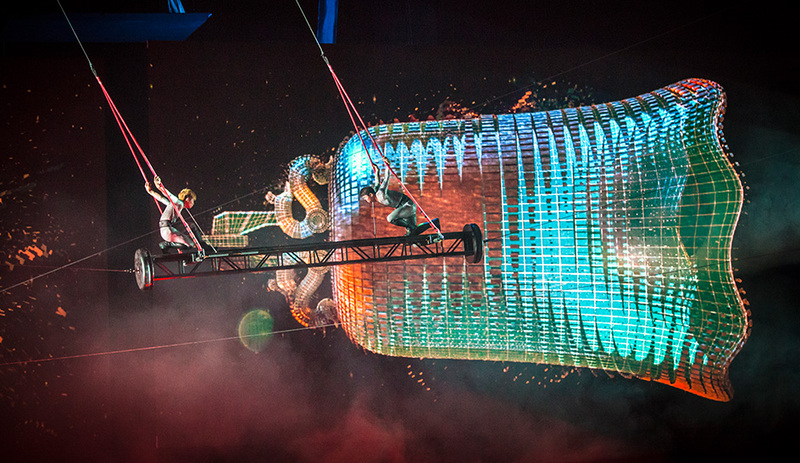 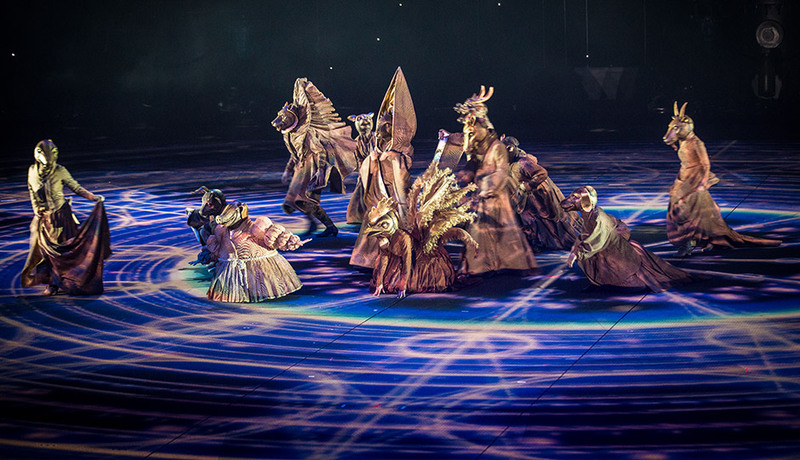 In the pool, there are extremely complicated underwater lifts and stage special effect equipment and above the pool, there are the rigging system and other stage equipment, which enable the performers to fly from catwalk and grid areas and land on the stage.